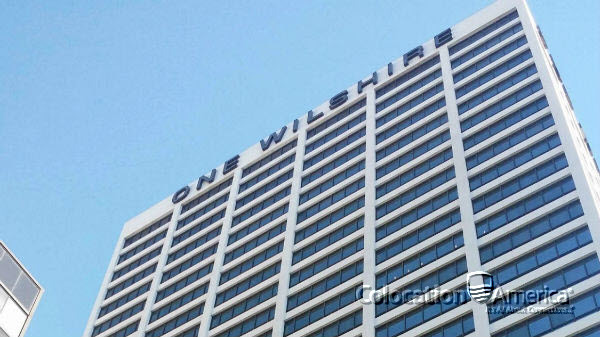 The One Wilshire data center was erected in 1966 and has been renovated over the years to accommodate the particular needs of its telecommunications clients. The stretching, 30-story building rests at the junction of S. Grand Avenue and Wilshire Boulevard. When deciding a location for colocation in Los Angeles, the 656,300 square-foot 1 Wilshire Building in the heart of downtown Los Angeles should be on the top of everyone’s list. 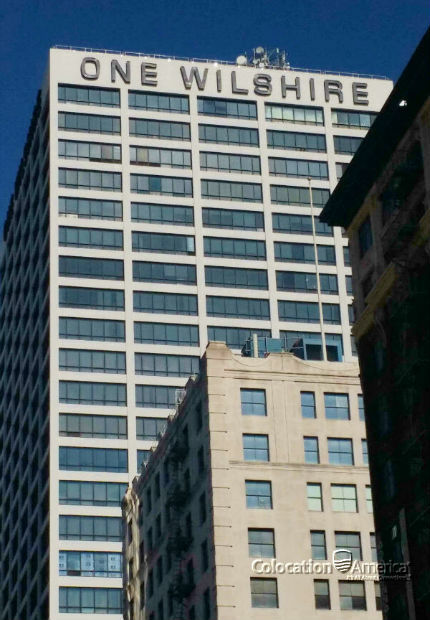 Widely considered the single most important connectivity point in the Western United States, the One Wilshire building has also emerged to become the principal communications hub of the Pacific Rim, providing important connectivity points with Eastern Asia. It houses the world’s most densely populated data center Meet-Me-Room, the infamous “One Wilshire Meet Me Room”, in which hundreds of internet service providers (ISPs) connect their networks to one another. These interconnected ISPs use the various data center hubs around the world and provide 1 Wilshire data center customers connections to several top tier ISPs. Thinking of Hosting in One Wilshire? As aforementioned, the One Wilshire building is known for its telecommunications prowess, but it can also attest to remarkable infrastructure and security proficiency as well. As the premier telecommunication center for colocation and hosting in the Western United States, the building offers an abundant amount of protection amenities to safeguard their clients’ property such as back-up power generation with ample fuel supply, high capacity air-conditioning units for adequate cooling, and 24/7 on-site security for One Wilshire Colocation. Primary Power: The building’s current electrical service consists of four 3750 KVA, 480 volt transformers and a 5000 KVA, 4160 transformer, all powered by the Los Angeles Department of Water and Power to provide 24/7 power to the MMR. The system is able to provide each tenant with 100 watts per square foot. Emergency Power: Currently, there are five 2000 kW generators in operation inside the data center, which supports the centers’ primary electrical source in the incident of a power outage or low voltage situation. Back-up generator power is dispersed to tenants through numerous 480V, 3 phase, 4 wire bus ducts. Connectivity:The Meet Me Room is the center of connectivity for the West Coast area. The room provides a central hub for major ISPs to connect their network making the building a premier place for colocation hosting. Cooling: Sporting a new closed-loop cooling system on the 30th floor roof, the building consists of 1,200 tons of redundant cooling towers with piping to the upper floors. This cooling system works well in conjunction with the existing tenant cooling equipment already in place. Fuel Storage: Roughly 20,000 gallons of diesel fuel in storage and containment. There is enough fuel to power the back-up systems up to 48 hours at full load. Fire Protection: The structure is safeguarded by a state-of-the-art fire life safety system to safeguard the Meet Me Room from potential fire threats . All tenant systems are tied to the main fire safety system, which is supported by an automatic switch to one of the back-up power generators. Security: The data center is protected around the clock by a fully-trained security staff with the aid of a closed circuit television (CCTV) monitoring and surveillance system. The One Wilshire Meet Me Room is closely monitored for unauthorized access for security of the valuable networking equipment housed inside. Entrance throughout the building is controlled by electronically-controlled access cards for personnel verification. Elevator Access: Upper levels consists of six elevators serving the lower levels (1-19) and five serving the upper levels (20-30). Additionally, there are 2 freight elevators to accommodate loftier objects. Parking: Under the building is the parking lot with roughly 500 parking spaces. A loading dock is available to tenants for delivery on the south side of the building on the surface level. America’s data center facility at the 1 Wilshire building offers over 10,000 square feet of space and offers the highest quality of service with the flexibility to help businesses connect and expand—anywhere from 1U servers to multiple full server racks. Server racks stored inside the data center are secured by locking cabinets and cages located meters away from the Meet Me Room. 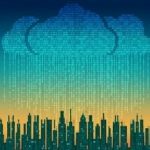 The secured data center provides colocation service that is backed up with a 100% uptime guarantee. Equipment stored at the data center has the capacity to fulfill any customers’ connectivity and bandwidth needs.